Jason Hoyes makes all his quartz in North Carolina with handmade fittings from 100% American quartz (GE214). Thick 3mm wall thickness all around for strength and durability with handmade fittings. This size 10mm Male will fit in any 10mm female joint. 90 degree angle at the joint and XL sized 24mm bucket. The most versatile banger specs that works equally well in both level and angled downstems. 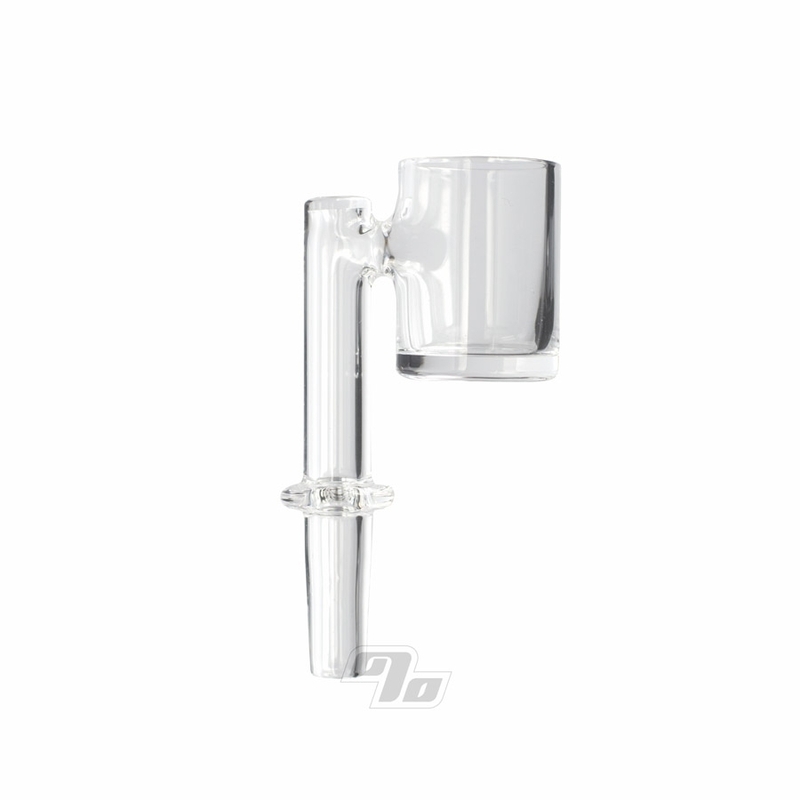 Mini and micro rigs as well as straight tubes are using these smaller 10mm joints. 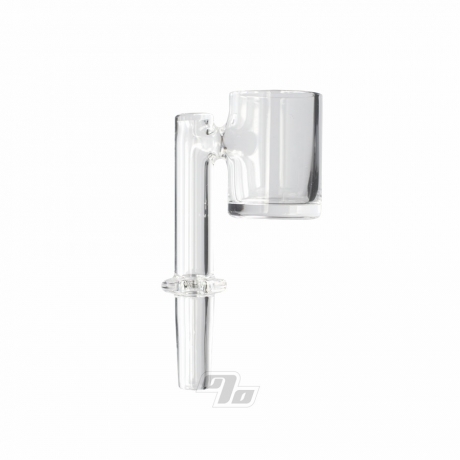 These Flat top quartz bangers are compatible with the majority of carb caps. Especially the directional carb caps featured here at 1 Percent. We also offer an Hoyes 18mm quartz insert if you want to step up your game. Universally recognized as the best value in high quality American quartz, Jason Hoyes is frequently listed in yearly top 10 lists from High Times on down. Each banger comes in a foam lined box for easy transport and storage.